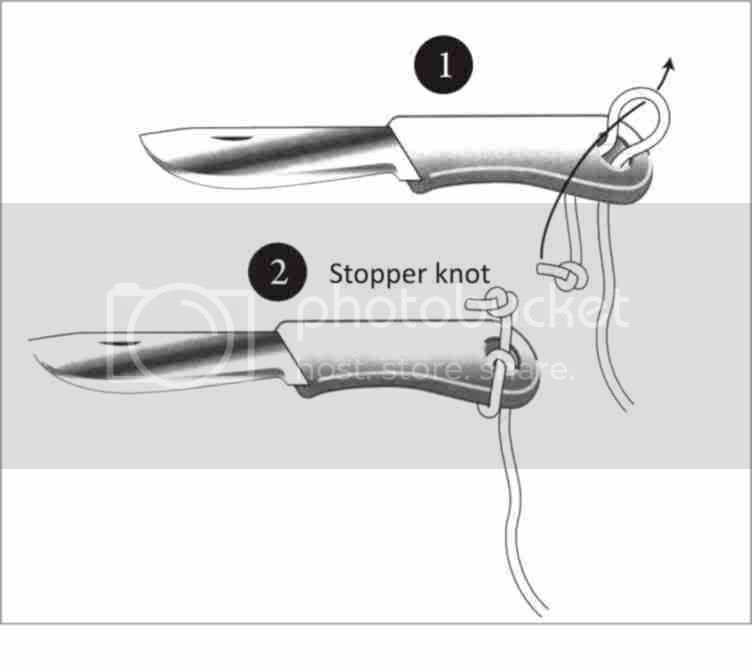 App;ications : Use the Knute hitch to attach a line to anything with a hole not much larger (for obvious reasons) than twice the diameter of the cordage used. This hitch is often tied to fix lanyards to knives and other tools. Europe's largest sailing school, in Poole Harbour, England, uses it to attach the main halyards to the mainsails on its Wayfarer dinghies, no doubt saving on the cost of shackles lost overboard from wet, cold and inexperienced fingers. Method : Thread a bight and trap the working end with it (1), finishing off either with a stopper knot or with one of those big plastic beads sold in yacht chandlers (2).